What does the future educator look like? The trend in 2017 is to speak about digital technology, digital disruption to future jobs, creative industries, entrepreneurship and of course the types of jobs that will disappear or change radically. Dare I say that all this jargon is alas past news. We are already experiencing major disruptions and will be facing impressively fast changes in all industries moving forward. So what will be the look of a class and a teacher in ten years, twenty years or even in the next five years? The hope among many teachers is that their job will still be satisfying and rewarding. The conversation is had with trepidation of wanting to know that children/students will still have their fundamental needs met. If we want a wholistic education, then we are looking at academic, physical, social and spiritual needs, not just digital input. There is a sense in 2017 that a student’s human qualities must be supported and managed for that person to achieve optimally. The student’s personality, qualities, capabilities and emotional maturity must be considered. The question then will be how does the fast pace of life in general, and technology in particular, affect these basic needs? The belief, coming from a Montessori perspective, is already nearly resolved. The future teacher is already there in your class: it is the student. 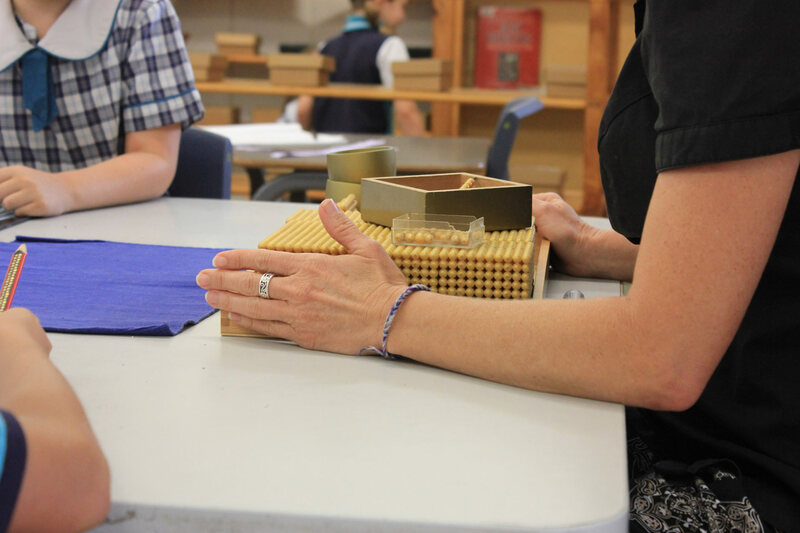 Students in a Montessori class already have to be well organised: from the age of five, students need to plan and develop ideas for chosen projects, they have to be critical thinkers, and make selected, appropriate choices. They need to be socially adaptable in an environment where working in groups to resolve problems and complete demanding tasks is a daily requirement. Students in a Montessori environment are leading their learning by choosing how, when and, mostly, what they need to progress their capability and knowledge. What we see in future educators are these primary learners extending their ability to the level of selecting the direction of the future and working actively in areas of their choice. Content and information will no longer be essential for these entrepreneurs as this is available to them in many formats. Creativity, strategic and lateral thinking, maintaining a sense of value for environmental sustainability, and operating at a high efficacy due to directed learning: these are the skills needed by our future educators, which are embedded in the Montessori method of education, and which we foster at CMS.